Volunteers were preparing for evening Mass over the weekend when Devon Thomas began breaking statues that date back more than a century. 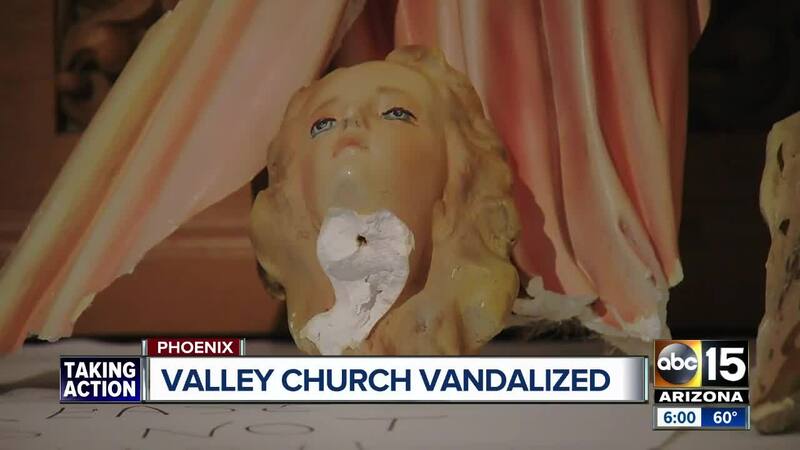 The man is charged with destroying statues at Saint Mary's Basilica in downtown Phoenix after being captured by parishioners. Police arrived at the Basilica near 3rd Street and Thomas Road and found 35-year old Devon Thomas on the floor amongst broken statue pieces. A parishioner snapped a photo of Phoenix police taking 35-year old Devon Thomas into custody Saturday afternoon. The church says he walked in while volunteers were getting ready for an afternoon mass. He climbed up on an altar in front of the church and started ripping down three statues. Some of the pieces have been in the church for more than 100 years. Court documents report that the damage is estimated to be more than $5,000. 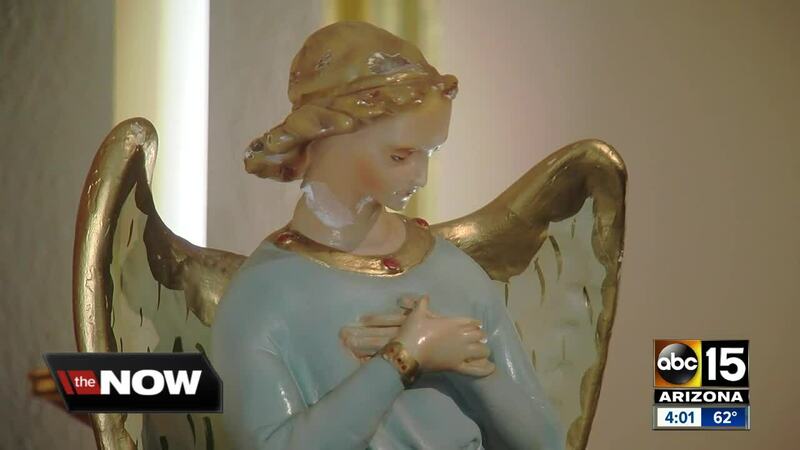 It's possible one of the statues is damaged beyond repair. The church believes Thomas was on drugs when he came into the church. Court documents show that Thomas on release awaiting sentencing on an aggravated assault conviction. Thomas has now been charged with assault and aggravated criminal damage.